You’re planning a trip to Paris with your family- you’ve chosen your dates, you’ve booked your flights. Now comes the fun part: finding the best Paris hotel for families. Do you find it difficult and time consuming trying to book accommodation for your next family vacation? When kids are involved, there are so many things to consider before choosing the best hotel in Paris for families. Many years ago, as a young, single backpacker, my worries were few and my criteria for accommodation was: must have clean bed. The cheaper, the better. 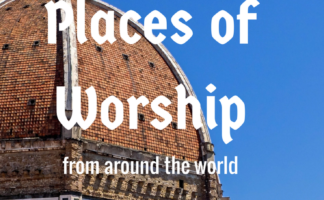 Which led to some interesting hostel and hotel locations (that I would never dare take my kids to!). For a big city like Paris, the options for family accommodation are huge. Every budget is catered for, and every style of accommodation exists. From plush luxury hotels, to budget rooms and Airbnb apartments and everything in between. And there’s the choice of location. Paris is a very large city with many different neighborhoods, all with different characteristics. There’s the fashionable St Germain quarter; the touristy St Michel neighborhood in the Latin Quarter; and the exclusive area around the Eiffel Tower. Choosing the best Paris hotel for families can be overwhelming. I’ve made some great choices, but I’ve also stayed in bad places in Paris where I wouldn’t take my family! The following are some common mistakes people make when choosing the best hotel to stay in Paris with children, and advice and tips on how to not make the same mistake. If you’re a first time visitor to Paris, you may not be aware that it is a very old city and many of its buildings are hundreds of years old. And old buildings means no elevators. When booking your accommodation in Paris, make sure you are aware of which floor you are staying on, and if there is indeed an elevator in your hotel. If not, stay on a lower floor. Your kids (and your legs!) will thank you for it. Most tourists just want to see the Eiffel Tower 24/7 while they are staying in Paris, so they choose a hotel near the popular attraction. But what they may not realise is the arrondissement (or quarters/neighborhoods) around the Eiffel Tower are exclusive and expensive areas in Paris for families. It also isn’t the best option if you are wanting to explore Paris by walking its streets- it’s not very close to the other attractions the city has to offer. 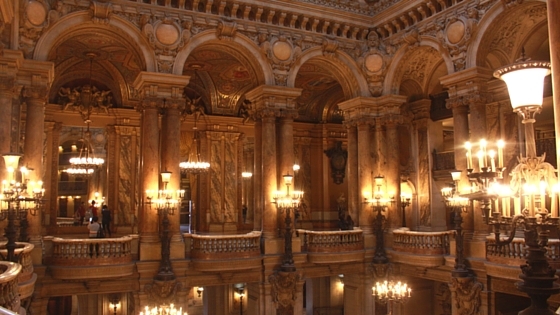 Read more about the best arrondissement in Paris to stay in. Some tourists forget to choose a Paris hotel that is located close to the metro. Being close to the metro when you are staying in Paris with your family is very convenient- you don’t have to walk far, and you can get from one tourist attraction to another tourist attraction very quickly and easily. 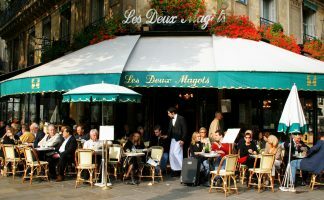 When finding the best hotels in Paris for families, don’t forget to look for hotels that are close to conveniences, such as supermarkets, patisseries, cafes and restaurants, preferably within walking distance. There were many times when I had to walk to the shops to buy something for the kids to eat, or buy some more sunscreen, or more toothpaste. You never know what emergency may come up! Looking at a map of Paris, everything looks like it’s fairly close and easy to walk to. And while it is (if you like walking for hours and are not in a rush), many families underestimate the distance between two places in Paris. We stayed in St Germain but it took us 30 minutes to walk to the Louvre, and if we had walked to the Eiffel Tower, it would have taken at least 40 minutes. This might not be much for an adult, but kids get tired (and grumpy!) very quickly. It’s best to choose a hotel in Paris that is closer to the attractions you want to visit. 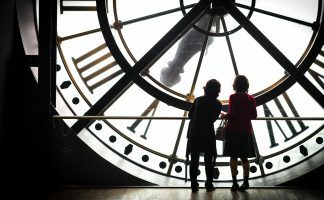 While August is the holiday month for many European and American vacationers, it is not the best month to be visiting Paris, if you want a truly Parisian experience. In August, most Parisians leave the city and head to the south of France for their own vacations. This means many shops, restaurants and cafes are closed. 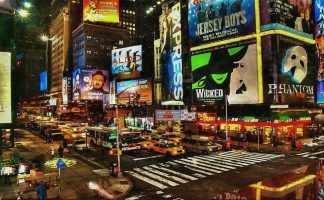 The city is jam packed with tourists, so the queues for visiting attractions are very long. When booking your hotel in Paris, keep in mind that you will have fewer choices during the busy month of August. You may have family or friends giving you recommendations on the best hotel in Paris to stay in, however Paris is a city that caters for many different types of tourists. 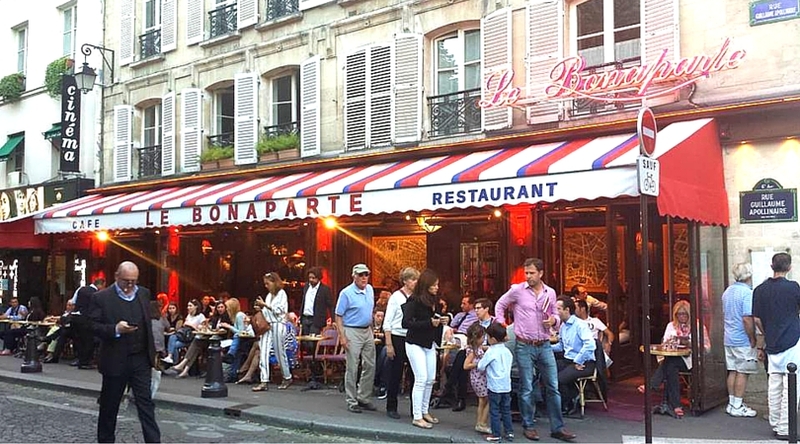 Younger people love staying in the Marais, while students prefer the Latin Quarter. Families prefer to be near the Luxembourg Gardens in the 5th or 6th quarter. Do your research- when choosing the best hotel in Paris for your family, consider your family’s needs. Read the arrondissement guide before making your decision! Check that your hotel has free wi-fi. If you are traveling to Paris in the summertime, make sure that your hotel has air conditioning. 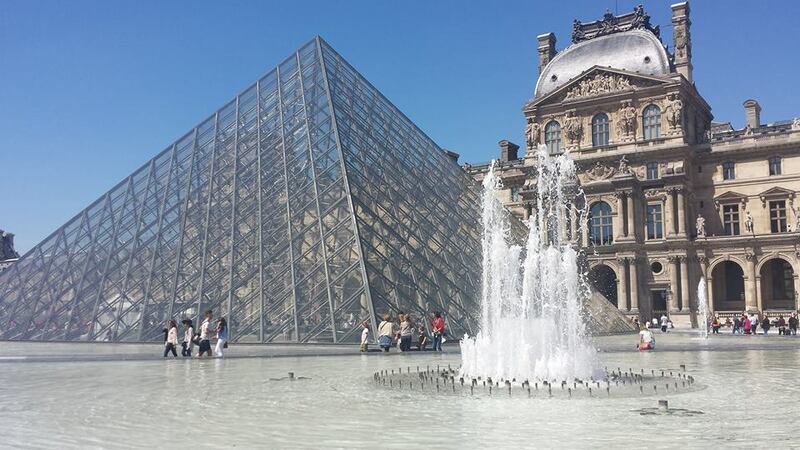 Hotels in the outer arrondissement are generally cheaper, but you have to spend more time and money traveling on the metro to get to the city center and the main attractions. Not all hotels can accommodate families with more than 4 people. Sometimes, you can book two hotel rooms. But it might be cheaper to book an apartment instead. Nearly all hotels have websites with photos of the different rooms and the hotel itself, with maps showing the location- so there’s no need to be like the Griswalds and turn up to a hotel that doesn’t look like the one in the brochure! 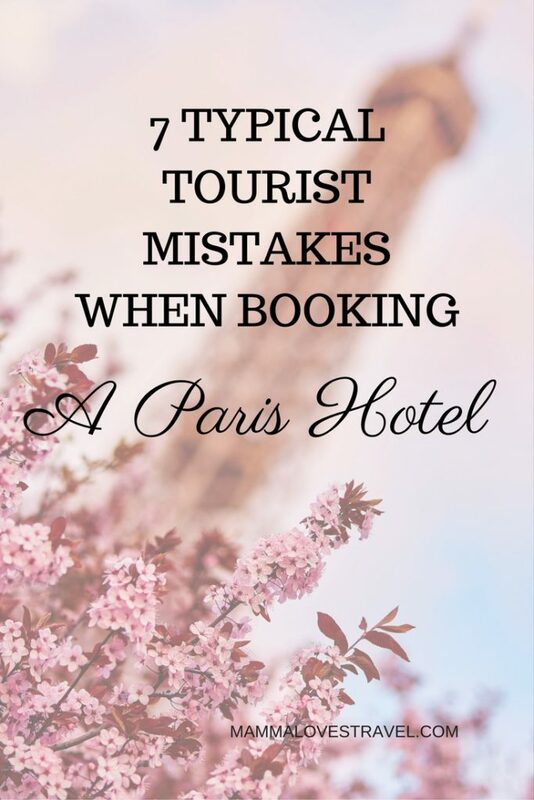 This list of tips, advice and typical mistakes people make when booking a hotel in Paris for families will help make the task of selecting a hotel much easier. Do your research, consider your family’s needs and most importantly, enjoy the experience! 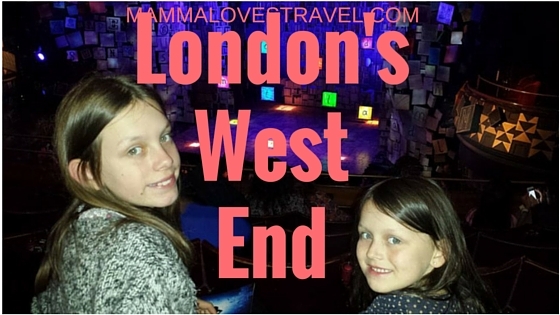 Paris is a wonderful city to visit with your family, and you’ll soon discover there are many things to do in Paris with kids!